Google Keyword Planner (GKP) is a free tool included in the Google Ads (formerly AdWords) suite. The name of the tool clearly indicates its features. It’s designed to find the right keywords for your Google Ads campaigns. GKP’s main features haven’t changed that much since it was launched back in 2013. However, at the beginning of 2018, it was redesigned according to the new design trend across all Google tools. A couple of useful new features were added to the tool such as historical and mobile search volumes or new metrics. 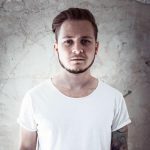 How do I get Google Keyword Planner? In order to use Google Keyword Planner, you need an active Google Ads account. Right after, you can access the tool in the Google Ads interface by clicking on the “Tools” in the upper-right menu. Make sure to have an active Google Ads account in order to use the Keyword Planner. Google automatically deactivates accounts without any spendings in the last 15 months. It can be reactivated, but if you don’t spend any money within the next 3 months, it will be deactivated again. Can I use Google Keyword Planner for free? Yes, as long as you keep your Google Ads account active. But it may happen that you will not see all the data. Why? Despite the fact that “free” is probably the best selling point of any product, Google decided to stop showing all the data for free. In 2016, the exact search volumes of keywords stopped showing for users that don’t spend enough money on their ads. No one truly knows what “enough money” means but what we could see and read, at least $100 per month is necessary. Of course, this can differ so don’t take it as the only applicable rule of thumb. In other words, if you want to use Google Keyword Planner for search volumes, it will be useless unless you don’t have active campaigns. 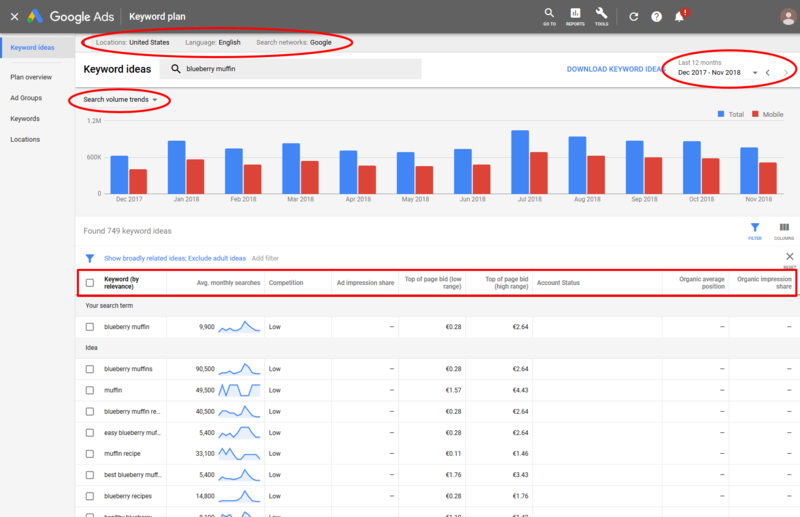 What data can I see in Google Keyword Planner? GKP is a powerful tool widely used by PPC specialists and SEOs alike. It offers crucial data that some other tools (many times paid tools) can only dream of. 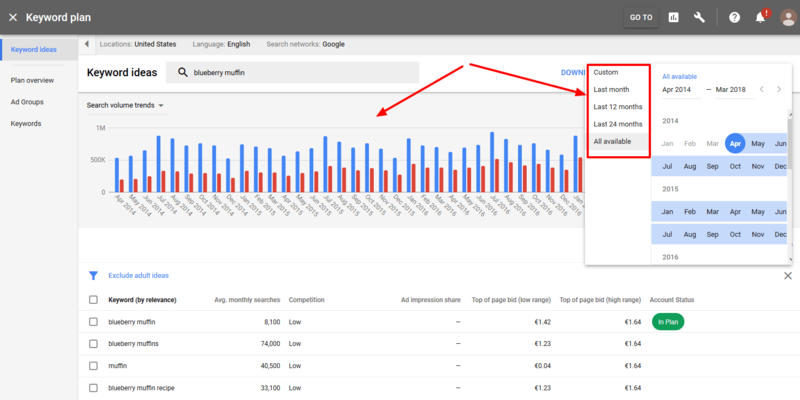 If you connect Search Console with Google Ads, you will also see the organic average position and impression share if you rank for any of the listed keywords. 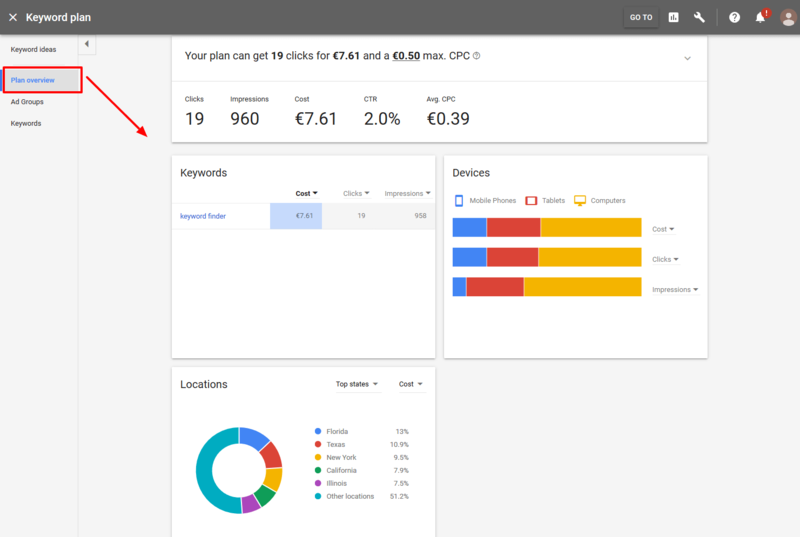 Keyword Planner will calculate a bunch of useful numbers including the impressions, clicks, cost, CTR, conversions, or CPA. The funny thing is, you will not see the search volumes despite the fact that this feature is called “Get search volumes and forecasts”. 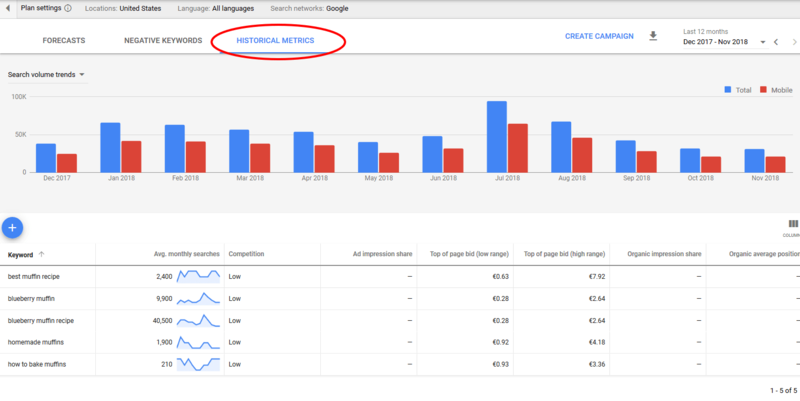 To see the search volumes, you have to click on the “Historical Metrics”. Just in case you would like to check the official Keyword Planner guide, you’ll find it here. Can I do proper keyword research for SEO with Google Keyword Planner? Though it was primarily designed for PPC advertisers, Keyword Planner quickly became a favorite keyword research tool for thousands of SEO specialists across the world. Keyword research for SEO has many specifics you can’t miss. That’s why we always recommend using specialized tools.